Farming runs the blood of our family. Over 100 years ago, our original Scottish settlers felled the bush where our family farm stands today - at the foot of iconic Mt. 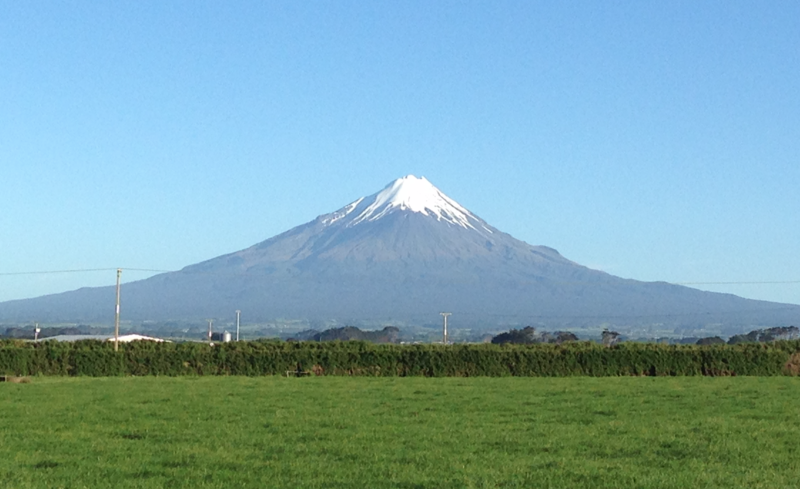 Taranaki, New Zealand. In historic times it was imperative for farming families such as ours to work the land and produce everything they needed to survive. The Parry Soap tradition started in the early 1900’s with Millie Parry. Millie's craft soap was used in the bathroom and laundry of the Parry household. Although ingredients have slightly changed, jump forward two generations and today our beautiful line of Parry Soaps are hand-crafted by Millie's grandson, expert Soapsmith John Parry. Our website is encrypted and 100% safe for you to purchase from. We accept all major credit cards through Stripe. We also accept PayPal and credit cards through Paypal. The colostrum we source for our soaps is always from excess that the cows don't use. Many of our customers have found our products healing for many types of ailments. John scoots all around NZ selling his products at various markets. If you see him out, come and say hi - if you prefer to order from home, we have a great system that can easily ship worldwide.